"I do not need Blake, I do not need any of the others...I do not need anybody at all." The Liberator is on the fringes of Federation space having been on the run for some time. The crew are exhausted and literally running on adrenaline. Cally urges Blake to let them all take a break. They discover a planet about which there is no information other than the fact that it's called Horizon and that it's protected by a force barrier that is impenetrable to almost all ships. A Federation ship is seen passing through the barrier and Blake takes the Liberator through after it, wanting to know why the Federation is present on such a distant planet. Taking Jenna down with him, Blake discovers that Horizon is a Federation colony, where the native population have fallen under the control of the Federation. Most of the natives are toiling and dying in mines. Their ruler, Ro now wears a Federation uniform and has renounced his people's culture. Ro is under the control of the Kommissar, the Federation representative on Horizon. 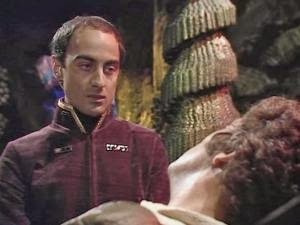 Talking with Ro, Blake tries to persuade him that the Federation are using him and his people to obtain a rare mineral. Ro is persuaded by the Kommissar to send Blake and Jenna to the mines where they meet Selma, Ro's fiancee who has also been sent there. 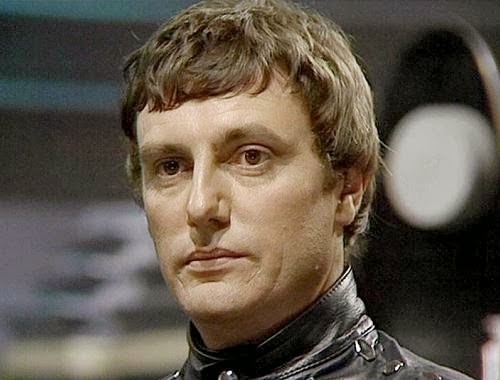 Meanwhile, Vila, Gan and Cally have also come down to the planet to look for Blake and Jenna but they are all captured. Before she is sent to the mine, Cally tells Ro that the Kommissar murdered his father. Alone on the Liberator, Avon contemplates running out on Blake and the others but, when a fleet of Federation ships are detected heading towards Horizon, he decides that it would be better for all if he rescued the others. He goes down to the planet and rescues the crew. They leave Horizon, avoiding the Federation ships that are destroyed by the protective barrier around the planet. 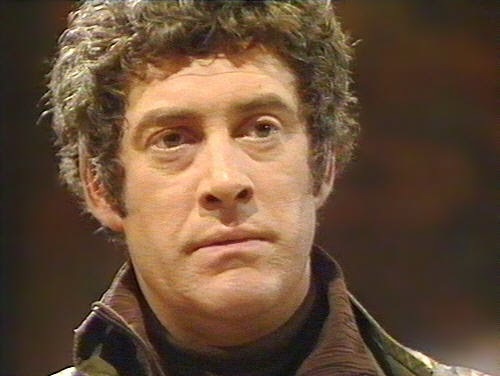 Meanwhile Ro, persuaded by Blake's arguments turns on the Federation and kills the Kommisar. He vows to fight the Federation should they return to the planet. Blake: Decides to investigate the planet Horizon because he's 'curious'. He sees it as a potential base for the resistance movement from which he could mount a serious offensive against the Federation. When he goes down to the planet he takes Jenna with him partly because he knows she supports him but mostly because she's the best pilot they have. He's concerned will try to take the Liberator and abandon Blake but knows that Avon won't leave with Jenna as pilot. As it is, Blake's wrong here as Avon almost leaves without any of the rest of the crew. Avon: Is once again frustrated that Blake is making decision without consulting the rest of the crew. When Blake and Jenna fail to report back to the ship he refuses to go down to rescue them. His reasoning that the others (or at least Vila and Gan) are expendable while he isn't seems particularly cold. Admittedly he never seems to have much time for Gan but he at least seemed to respect Vila's lock picking abilities so to refer to him as 'expendable' seems odd to say the least. When he is the last remaining crew member left on board, Avon seriously contemplates leaving the others and running off in the Liberator. The only thing that stops him is the fact that a Federation flotilla is heading towards Horizon with just the right number of ships that would be able to destroy the Liberator. 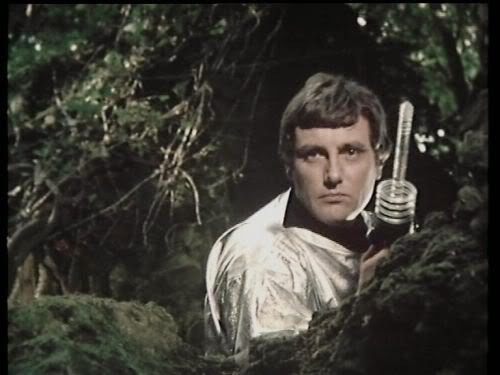 To his credit Avon does undertake a daring one-man rescue mission although he does almost shoot Blake in the process. Cally: Once again acts as the ship's resident doctor as she diagnoses the entire crew with stress. She also prescribes Vila with a dose of adrenalin and soma, which seems to act as a relaxant. Using information provided by Orac she convinces Ro that she is a mystic when she tells him about how his father was killed by the Kommisar. She also uses her telepathic powers to warn Ro that the Kommisar will kill him too. After last week's rather disappointing episode, I wasn't really looking forward to this one. I remember being somewhat underwhelmed by it the first time I saw it some years ago. Happily, it's much better than I remember it and vast improvement on last week's episode. The episode explores the idea of the Federation as a colonial power, much like the British Empire of old - exploiting and destroying supposedly 'primitive'cultures. It's a new angle to explore with the Federation although perhaps not an unexpected one. Given how willing they are to subjugate their own people it's not surprising that they'd do the same to others. This is also a very good story for both Blake and Avon whose game of one upmanship with each other continues. Blake continues to act bullishly, snapping orders at people and making important decisions without consultation. Avon, meanwhile, seems to be growing increasingly tired of living under Blake's command. This isn't the first time that we've seen Avon contemplate running out on Blake and the others but it is the closest he gets to actually making good on that threat. 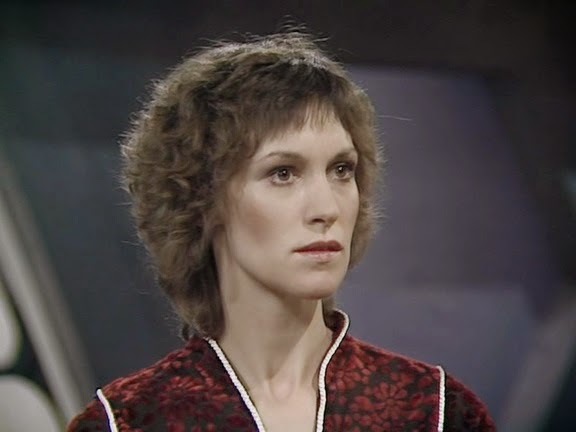 This focus on Blake and Avon does mean that the other crew members suffer somewhat, although Cally gets to make use of her mental powers once again. Overall,this is a solid story, which looks great - after the drab greys of 'Weapon' it's nice to see such rich colours here - and has some great dialogue, particularly for Avon. Next time, things come to a head and a hero falls in 'Pressure Point'.